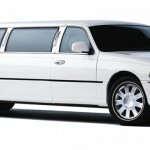 Limousine Hire Including Wedding Car Hire, And Executive Car Hire With scores of Limo vehicle service providers that are growing daily, it often becomes difficult to zero-in on the right limo hire company when it comes to hiring a Stretched Limousine. 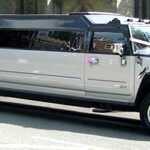 Regardless of whether it is a wedding or a social gathering at a far off place, the services offered by Stretched-4-u.co.uk have time and again proved that this service provider is here to stay for Good, whilst also supplying a professional Limousine and Chauffeur Wedding Car Hire Service we only use the best trained and well Mannered Chauffeurs. 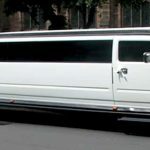 With an efficient team of well experienced professionals in the Limousine And Wedding Car Hire industry, we work as a unit and it won’t be wrong to say that our enthusiastic professionals Down To The Chauffeur will go out of their way to offer excellent service that you our customer deserves at all times. 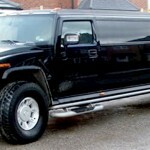 Having specialized in stretch limo hire and stretched hummer hire, we take pride in declaring that www.stretched-4-u.co.uk is one of the most sought after Stretch Chauffeur Driven limo hire And Wedding Car Hire Companies operating in The Market Today. With varying models, designs, categories of all limousines and Executive Cars Including Classic And Vintage Models to select from, our clients have been offered a wide range of options. You have the liberty to choose from among our fleet of limousines that we offer on hire for varying purposes-weddings, conferences, and formal as well as informal meetings in and around the city. Our array of cars that you can select from includes wedding cars, limousines, Executive Vehicles, novelty vehicles, and prestigious cars. We also ensure that we are abreast with the latest driving regulations that are from time to time introduced by the motor industry in the United Kingdom and strive by all means to adhere to the same. We have a well versed team of professionals belonging to the Research and Development division that makes sure that our clients are offered something new every time. As such, we are constantly trying to better our services and we also bank heavily on our client feedback that we collect after every project that we complete for our clients. It won’t be wrong to say that in most of the cases, we have received positive feedback from our clients with regard to our services. The fact that we offer chauffeur driven cars has also placed us on the top of the list when it comes to listing car Chauffeur rental and Car Chauffeur companies. Booking our cars is easy and can be done with a click of the mouse. Our on-line booking facility offers the privilege to book our vehicles even while you are on the move. 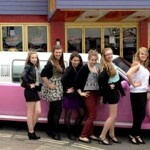 Stretched For u has party buses on its fleet which are very popular for Birthday parties including Hen And Stag Nights With Dancers Available on Request, This is the perfect Vehicle for all Kinds of parties with plenty of Head Room To Stretch Your Legs so Let Stretched 4 u Stretch Your Imagination Today. One of the simplest things that you can do when you want to find high quality Limo hire services is talk to other people who have sought limo services before. This can be your friends, relatives or colleagues at work. If they know about companies that provide high quality limos, they will definitely refer you to them. If you friend, relative or colleague did not like the quality of services he/she got when dealing with a company that provides limos for hire, it is highly likely that they will warn you against dealing with it. 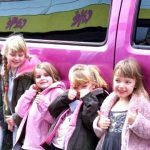 What do people who got limos from a given company say? You will only get an answer to this question when you take your time to go through the reviews left by other people who sought the services of a given company before. If they say a lot of nice things, it is obviously because they received high quality services. You should go ahead and seek the services of a company that has a lot of positive reviews. When you find so many negative reviews, you should raise a red flag. If most of the people who sought the services of a given company were not happy with the services they received, it is highly likely that you will not be happy with the services that you are going to receive as well. How much money will you be asked to pay to hire a limo? Make sure that you are not hiring from a company that will overcharge you. Check what is included in the package that you paying for. Take your time to compare the cost of the services you need. This is the best way to determine whether a given company is charging you too much or not. 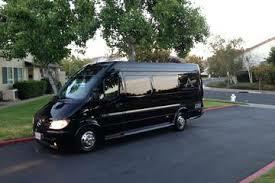 You should also check the quality of the limos that a given company hires out. Make sure that you are dealing with a company that has a valid insurance cover. Again don’t just take their word for it, ask them to show you the proof. Their insurance cover should also cover the valuables that you will be travelling with. When you are dealing with a company that provide limo hire service that is insured, you will be sure that you are going to be compensated if you get into an accident. Stretched 4 u is a Bespoke Limousine and Chauffeur company specializing in all events, wedding car hire, school proms,birthday parties including airport transfers.